Discussion in 'Interior DIY' started by ethlar, Dec 20, 2011. This is a labor intensive DIY, it involves interacting with components of the SRS system. So long as you are responsible in doing so this poses little risk, avoid exposing SRS components to unnecessary shock and more important electricity. 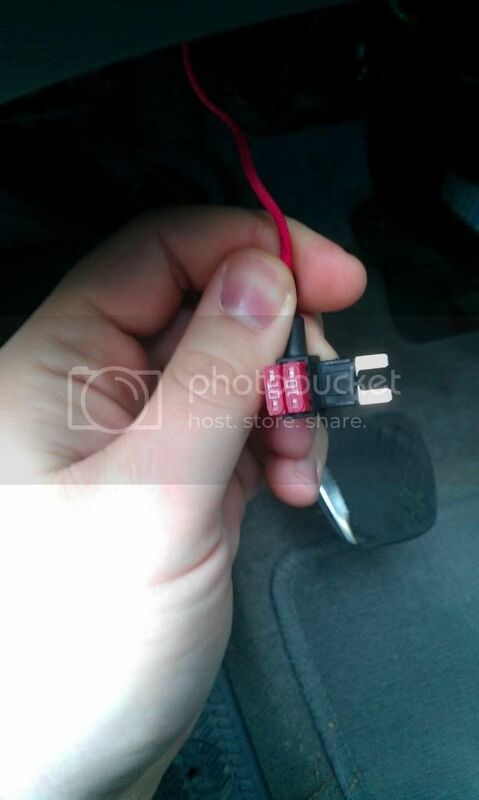 Following this DIY is at your own risk, neither I or this site, its owner or staff are responsible for any damage to your car or injuries you receive. 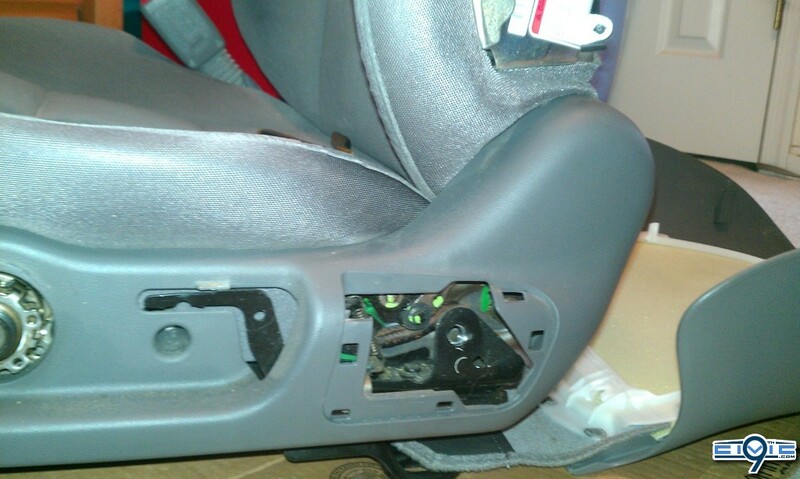 On a scale of 1-10, 1 being changing your air freshener and 10 being an engine swap, about 5-6.
incorporating OEM switches requires some basic skill in soldering, removing seat fabric requires patience. 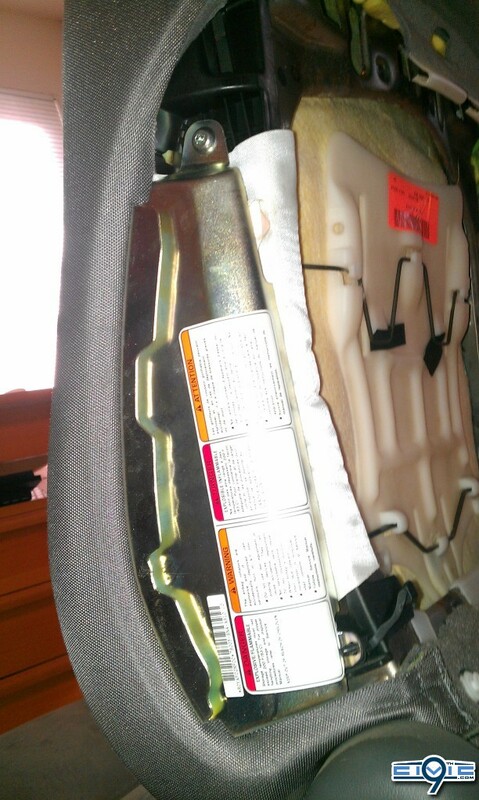 If looking at an oil filter makes you wonder where does this go... call a professional. 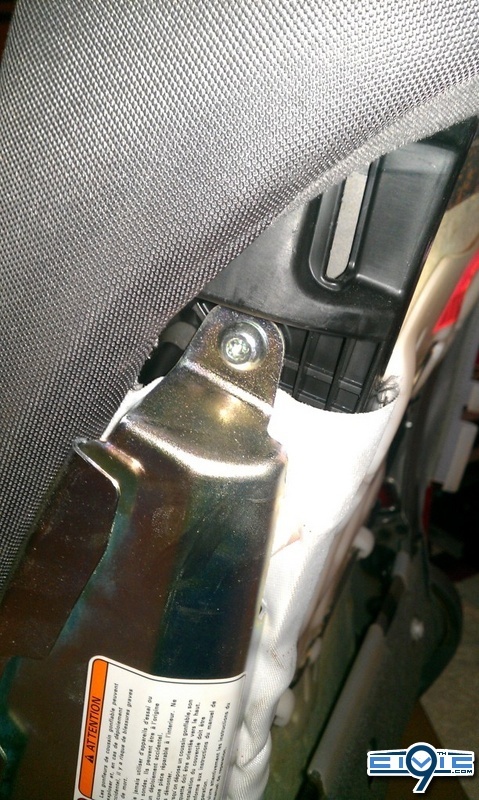 8th gen DX/LX/EX/EX-L use plastic clips to hold the seat cloth on, Si uses metal hog rings. 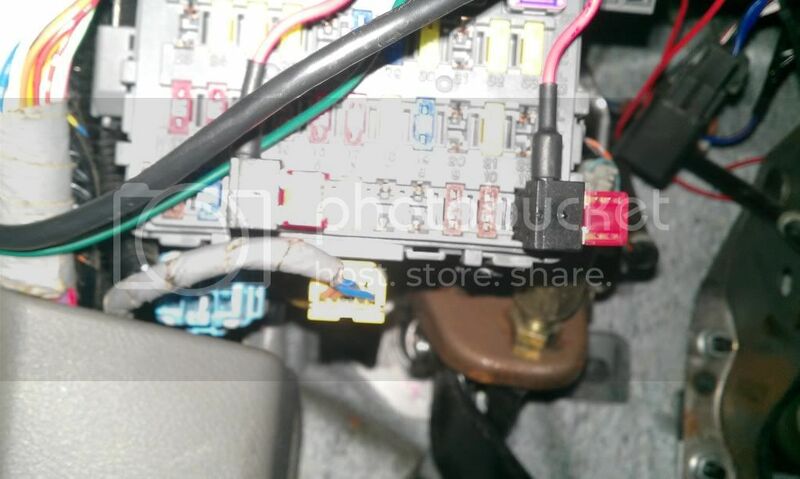 9th gen cloth attachment method is unknown but likely the plastic clips like the 8th gen.
First step, disconnect the negative terminal of the battery, and allow the car to sit for 10-20 min so the SRS system can fully discharge. 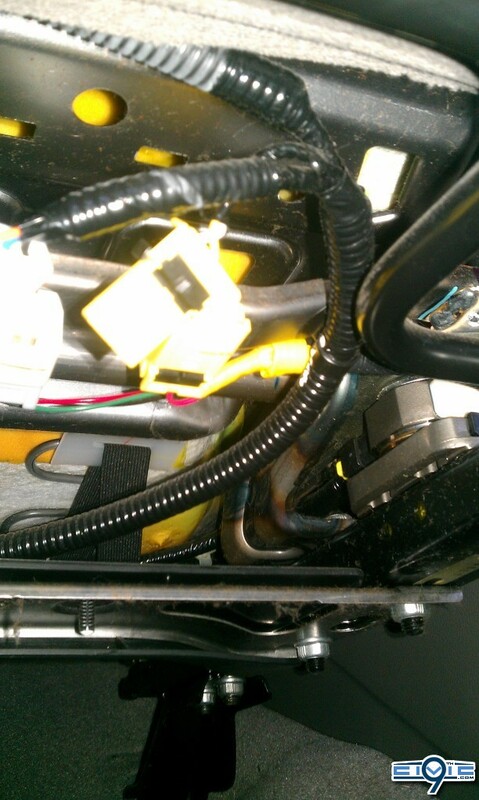 Once you unplug any SRS components (yellow plugs and or harnesses) do not reconnect the battery UNTIL you have reconnected all SRS components, otherwise the SRS system may throw an error. 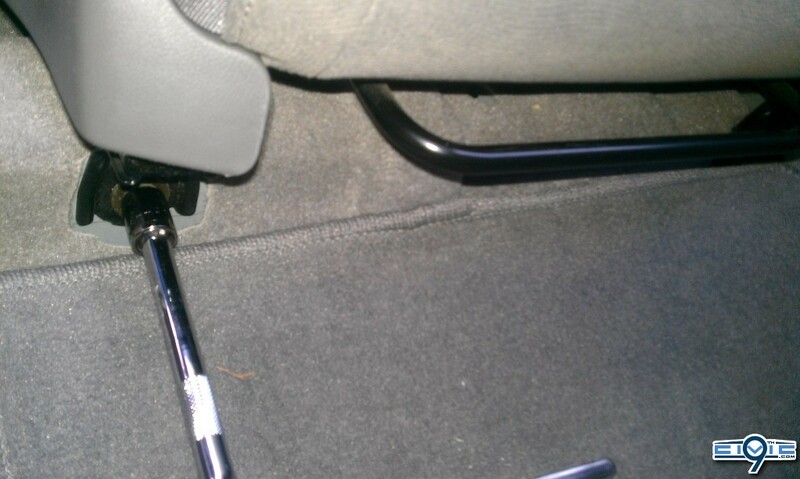 The seat is held into the floor of the car by 4 bolts, they are 14mm. 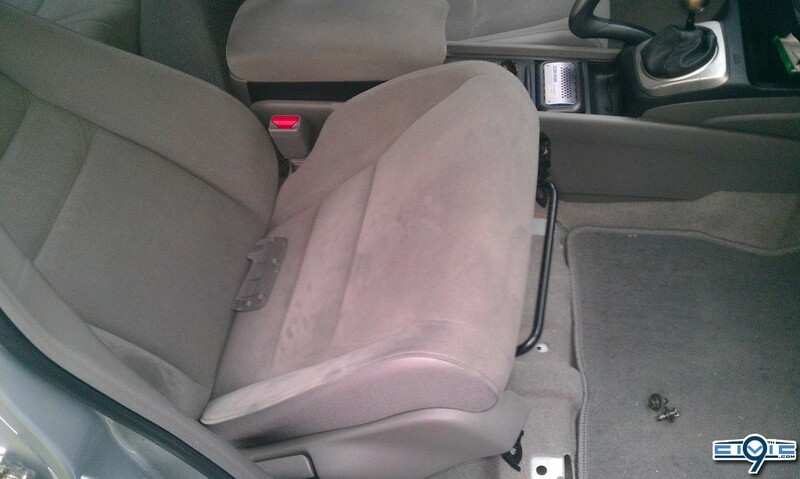 Once the harness is disconnected from the seat, fold the seat back as far forward as it will go, remove the head rest, and slide the seat as far back as possible on its rails. 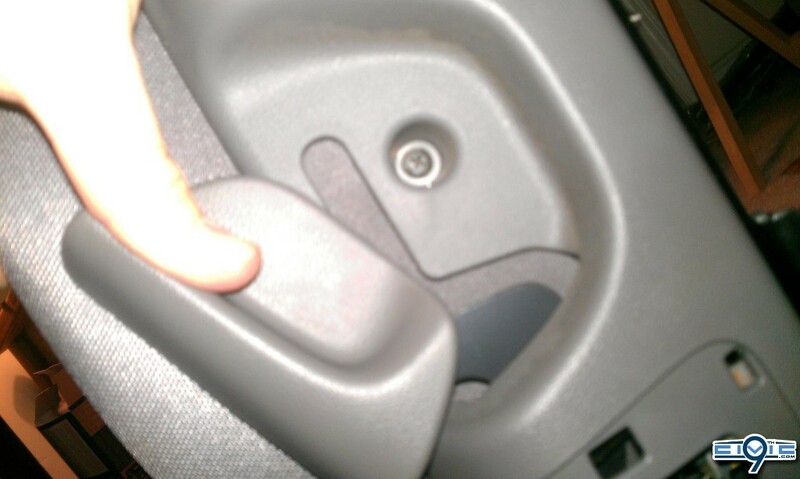 You can then grasp the seat and take it out through the passenger front door. Be careful as the rails have sharp metal edges on them and will scratch and gouge whatever plastic panels they hit and the seat is HEAVY. 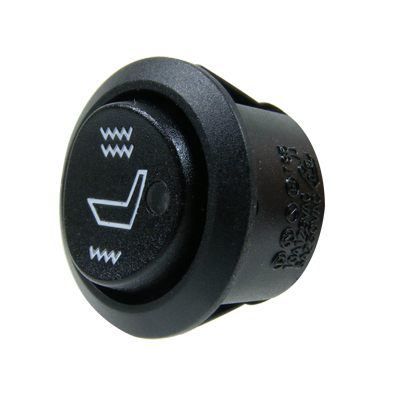 Since the passenger seat has sensors for the Occupant Detection System in it you can not install a heating element over it. 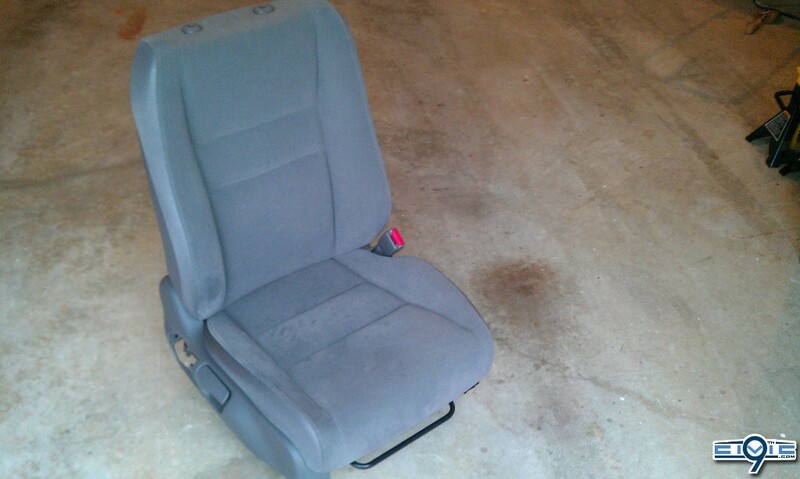 This DIY doesnt cover the dissasembly of the passenger seat back, only seat bottom. 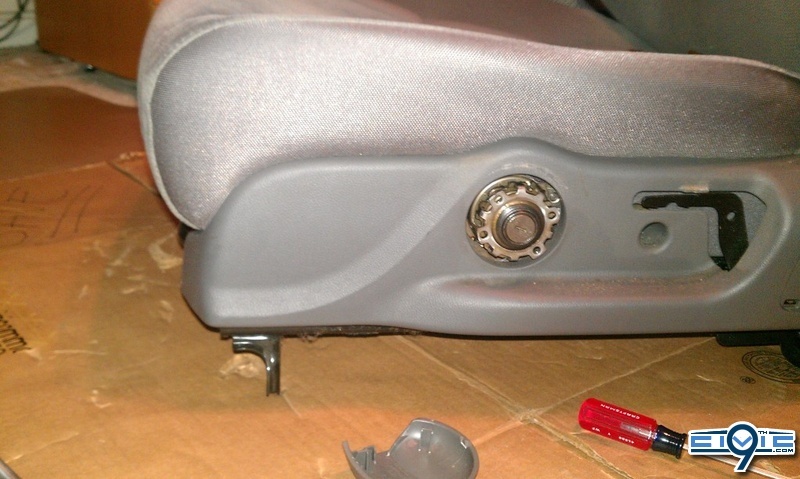 Removing the panel itself is a bit more challenging since the recline handle is press fit onto the metal. I found that tapping it with a rubber mallet while holding it extended gets the plastic off the metal handle. 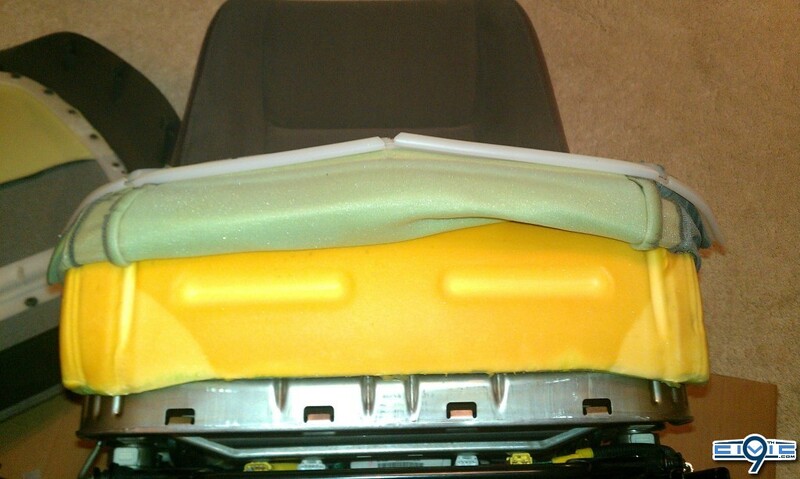 Remove the side of the seat panel by pulling up starting from the front of the seat to the back. 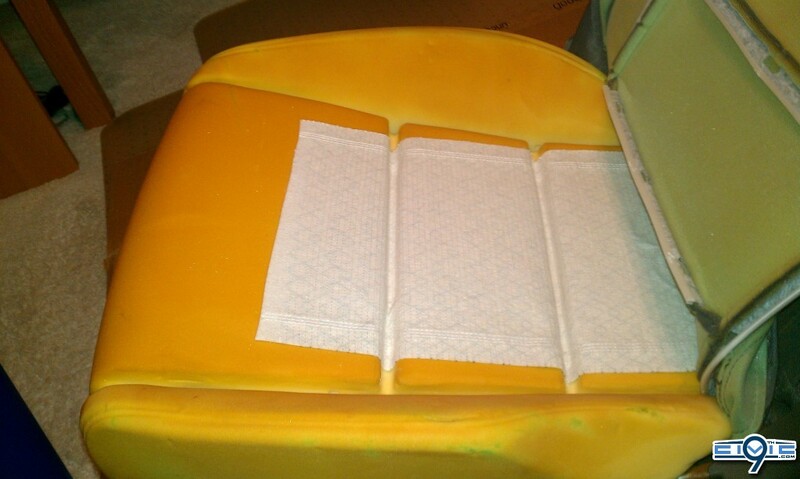 Release the plastic J clips holding the cloth onto the seat frame, start at one end and rotate the plastic clip towards the bottom of the seat, once you get one side the rest will easily follow. The clips are challenging, Honda says to replace them however if you are careful you can remove them without damaging them. 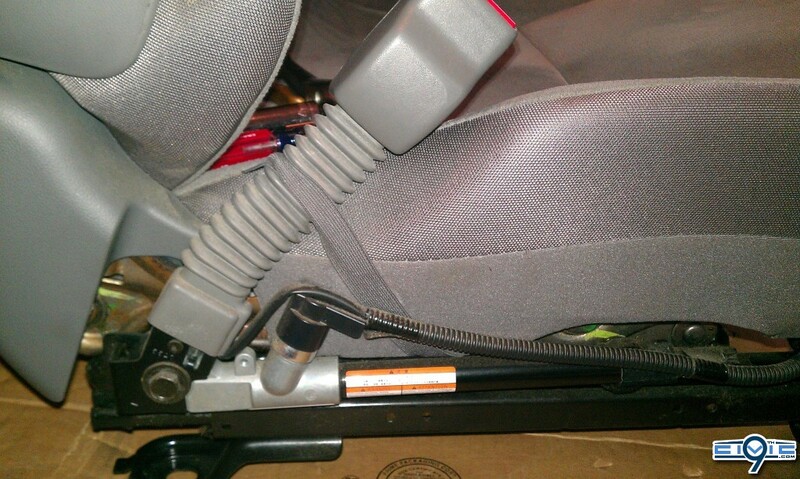 I found that using a small flat head screw driver you can pry the plastic bars attached to the seat fabric out. 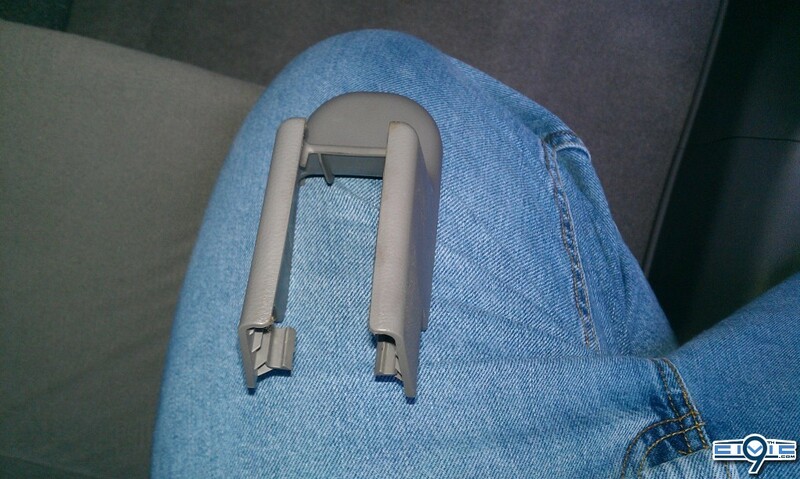 Once the seat skin is detached from the clips you can flip them around on their bars, and press down and towards the fat side to release them. I used 2 elements for the bottom because the kit requires that you use both to function properly but you can cut them to any length you need. 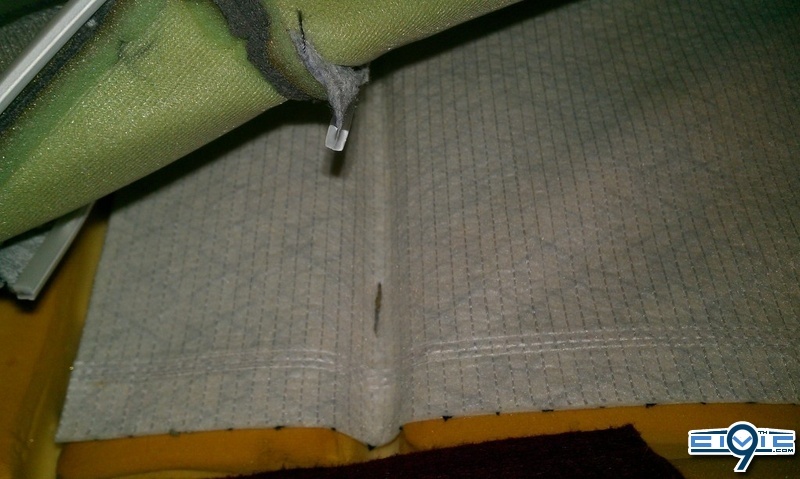 Cut small holes in the element pad to accommodate the clips for attaching the seat skin. 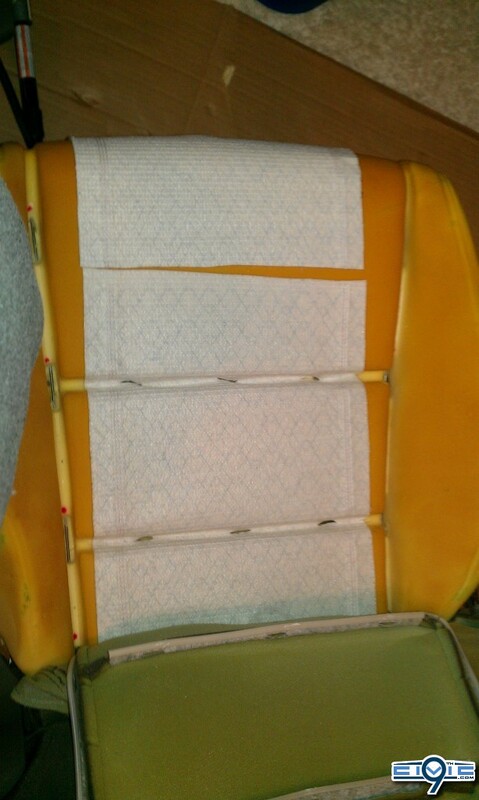 Wrap the metal rods in the foam with insulating tape to prevent shorts from the heating element to the seat structure. 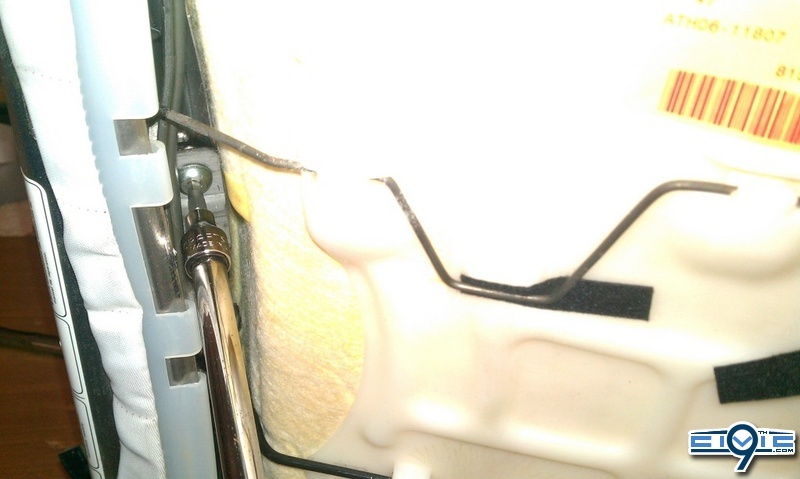 You may need to cut a notch in the foam to accommodate the thermal regulator in the heating element and a hole in the fabric in the back to let the heater wire out. 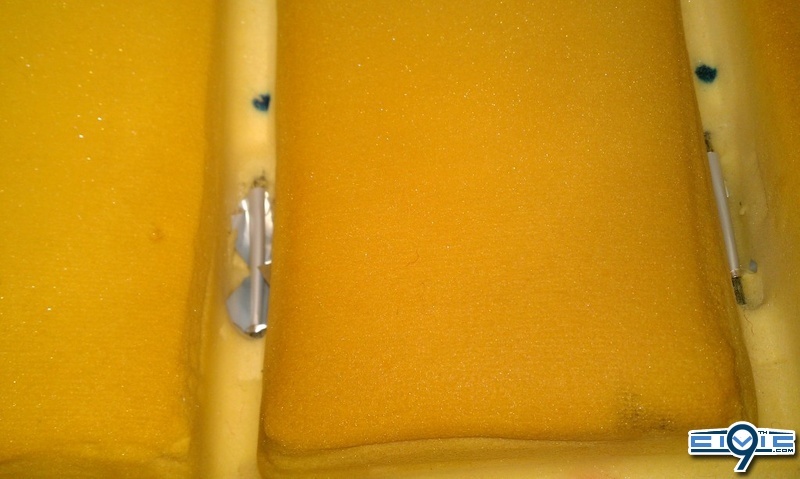 seat skin re installation involves attaching the clips to the bars and pressing them onto the metal support in the foam. 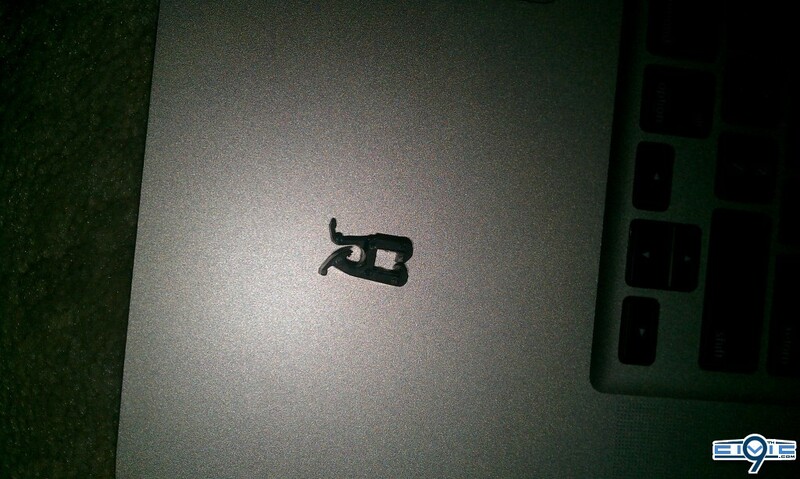 I found using the small prying screwdriver to help guide the metal bar into the notch in the clip helps. Pauly99to17, KennyGS, iluvmycsx and 2 others like this. 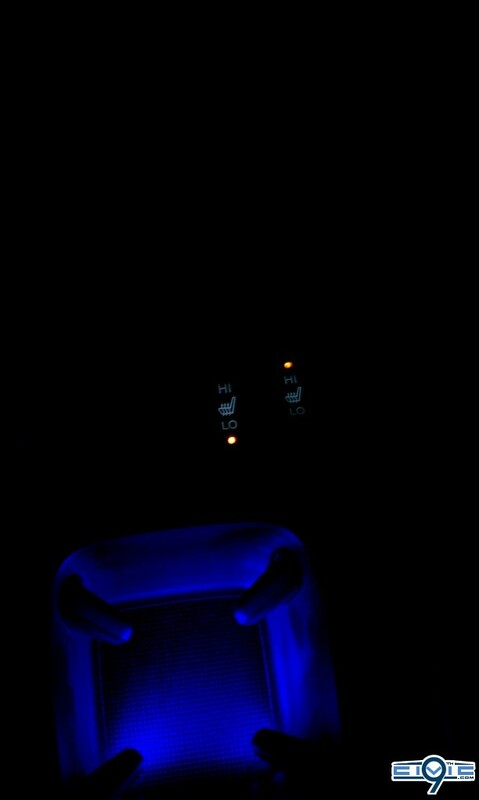 Much of this is like the passenger seat, but the seat back gets a heating element installed as well. 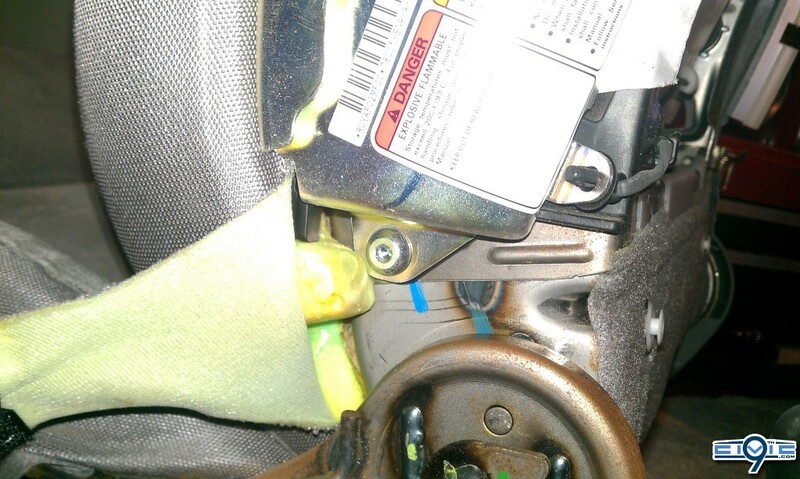 Removing the cover on the seatbelt anchor might require cranking the seat up, removal is the same as passenger side. 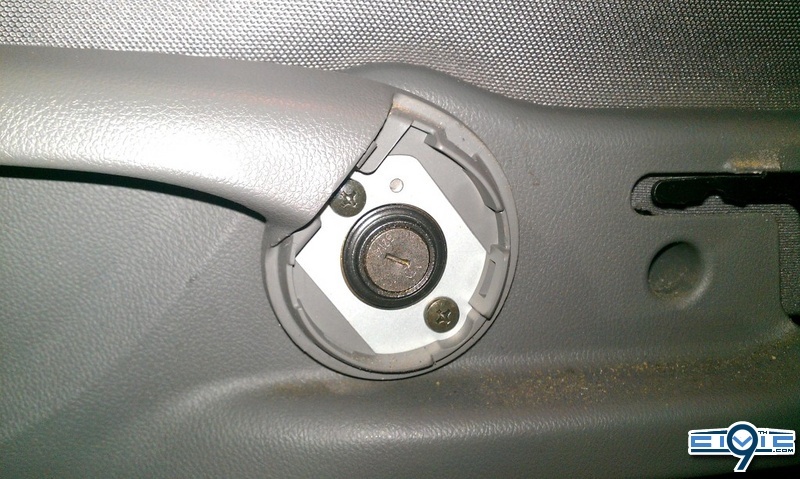 The seatbelt anchor is held on by a 14mm bolt, accessing it may be difficult depending on the height setting of the seat. 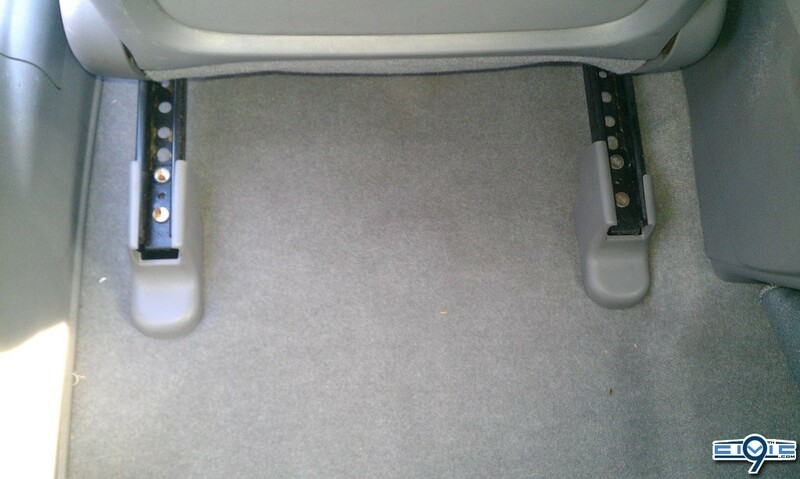 If you crank the seat down as low as it can go it will be most accessible. 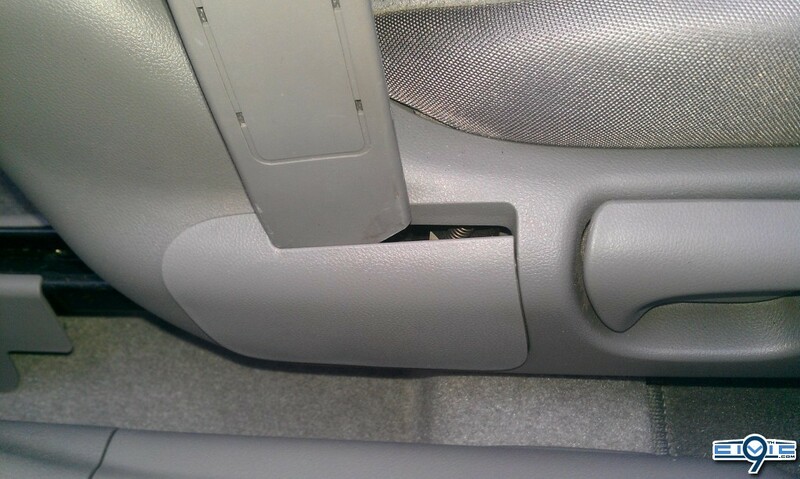 Push the steering wheel all the way up and in to get it out of the way, slide the seat all the way back on its rails and lower the height adjustment as far as possible. 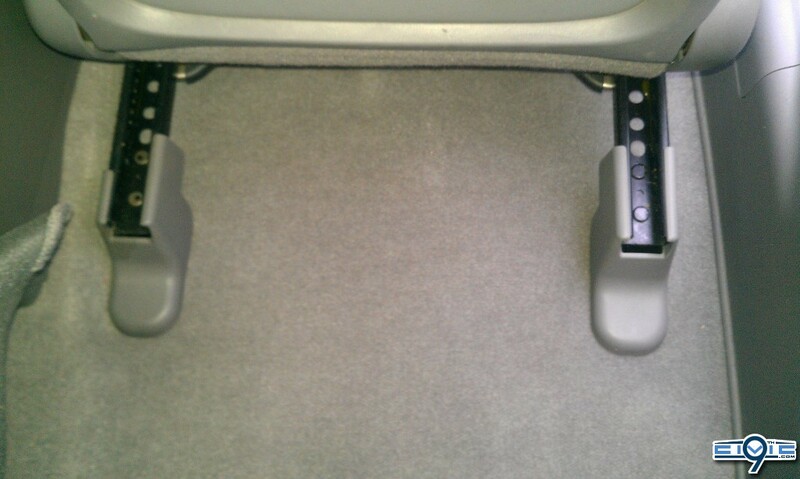 Remove the headrest and fold the seatback all the way forward. Carefully negotiate the drivers seat out of the car around the steering wheel. 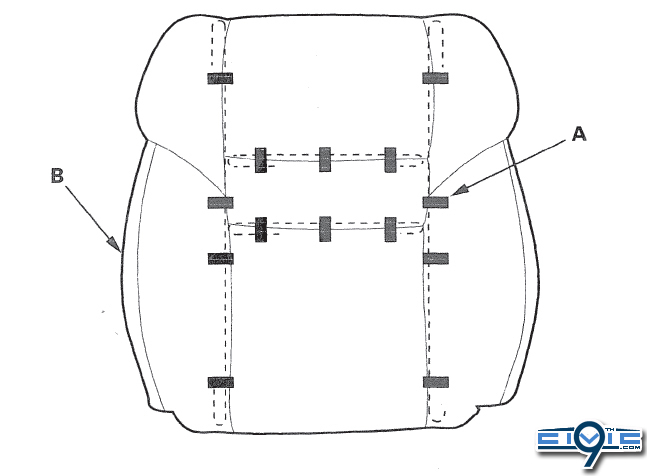 Removing the seatback is challenging, Honda suggests starting from the side where the airbag is, working to the bottom and then opposite side. 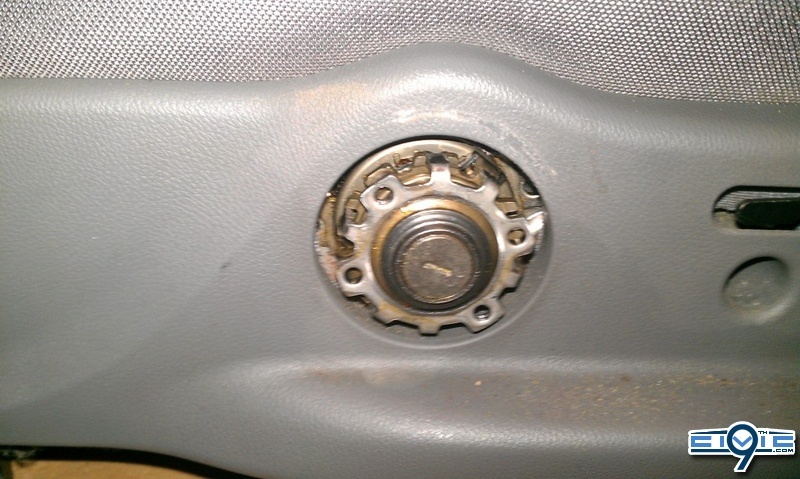 At this point, normally the airbag would be removed, however due to whatever honda had previously done when working on my seat the airbag would not come out. 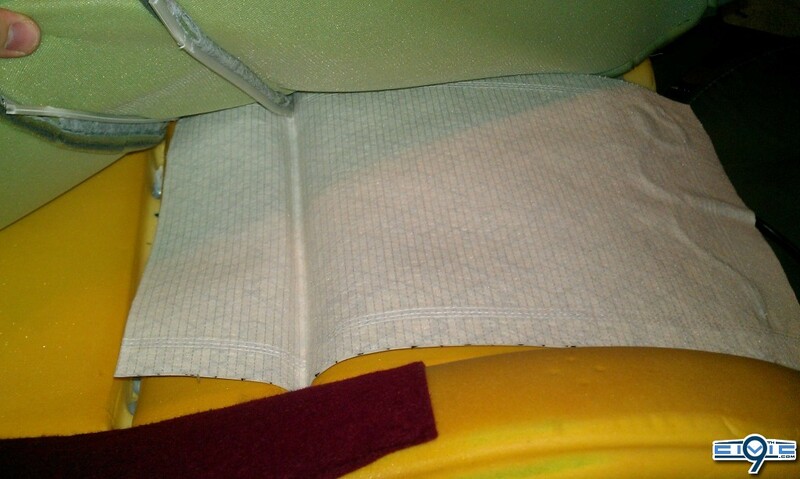 Removing the seat cloth clips is identical to the passenger seat bottom. 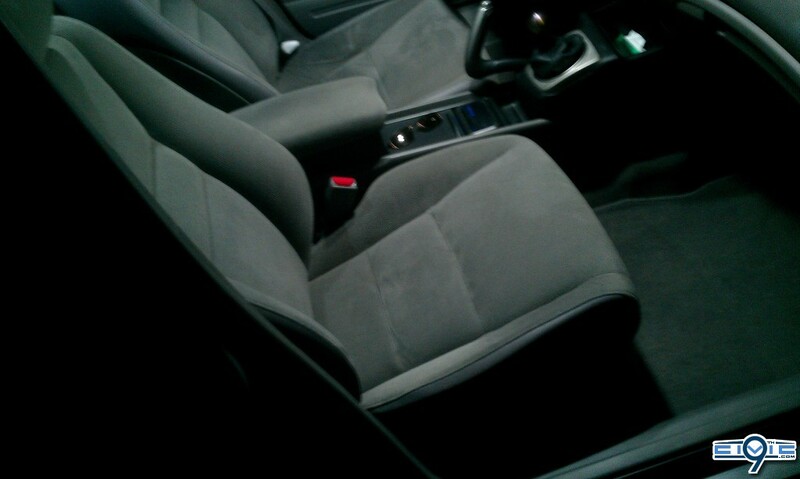 The drivers seat bottom is almost identical to the passenger seat. 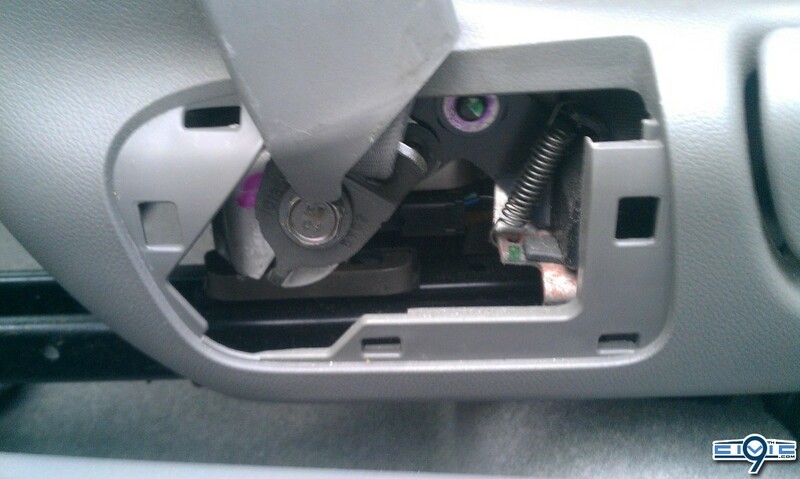 Remove the screw behind the seat back adjust and seat back adjustment handle as above. The height adjustment handle will only go back on one way. the rest of the drivers seat bottom is identical to the passenger seat, release the J clips and and black clips, install heating element and close up. 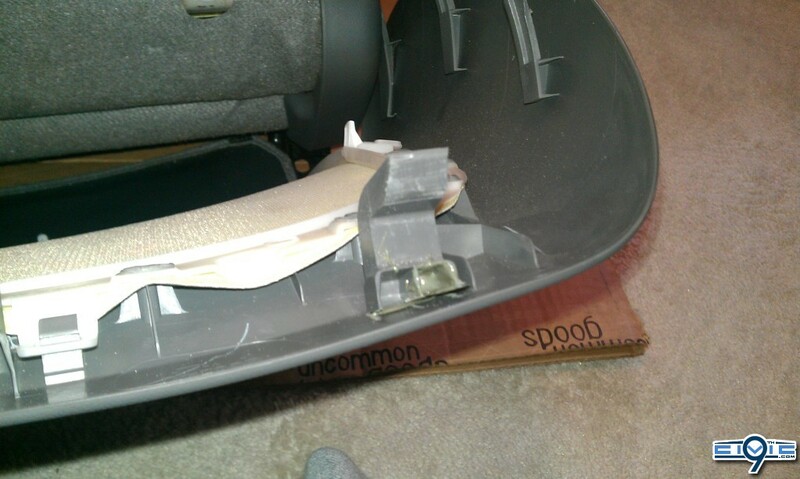 Re installation of the seat is the reverse of dissasembly. Flippercon, webby and iluvmycsx like this. If your intention is to use the switches that came with the kit then all you have to do is drill a hole somewhere for each switch and plug everything in. 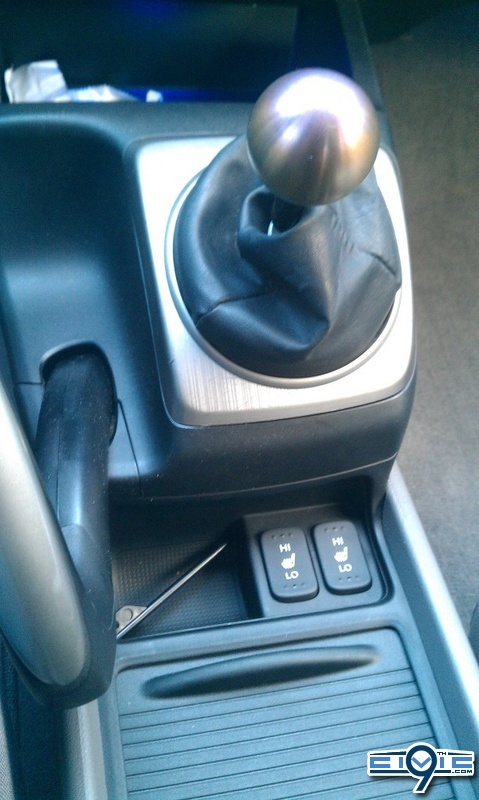 If you want to go for a cleaner look and use the OEM switches a little more work is involved. depending on your kit this may be different so use a volt meter, test light or other testing method of choice to determine the wiring. 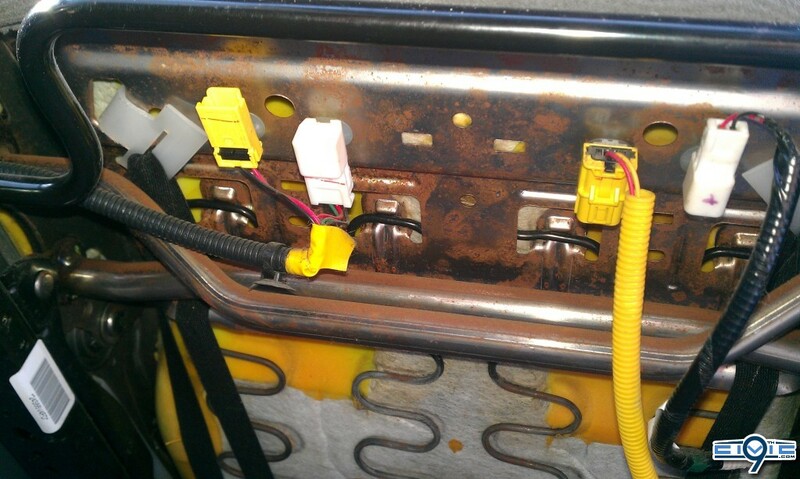 Most of the kits are designed so that the switch is not passing current directly to the heating elements, therefore it is USUALLY safe to wire the OEM switches in. The switches each have 6 pins, the passenger side switch actually has a hole for a 7th pin but it is empty for keeping the two connectors separate. I found that the connectors in the plugs from a computer used for the front panel connections were the perfect fit for the pins in the switches, but the gauge of the wire they used was too small, so i removed the connectors from the plugs and soldered them onto the kit harness, heat shrink wrapping around the connector and new wires. i then plugged each connector onto the correct pin and tested that all functions operated the same as the original kit switch. 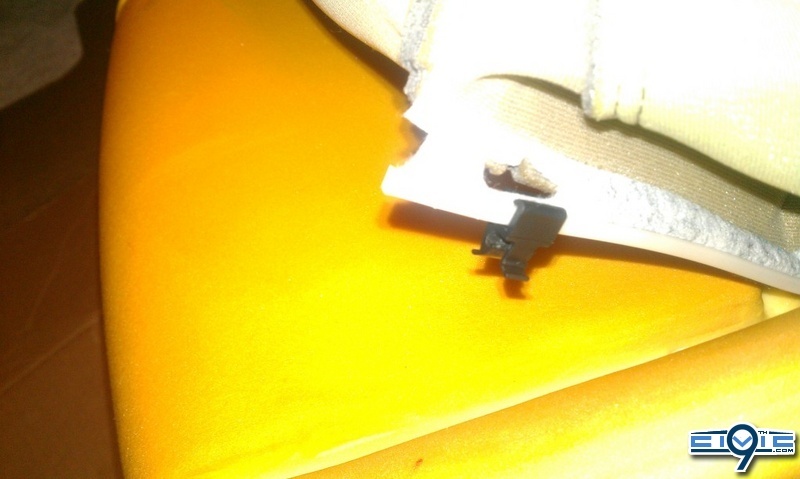 After verifying that all of the connectors were properly placed i put some insulating compound into the socket on the switch to hold the wires in place, beware if you store the switches connector side up to cure, the compound seeped into the switches and i had to peel it out. Wiring the seats themselves is straight forward, i ran everything to the center console under the carpets and ziptied the heater harnesses to the existing harnesses under the seat. 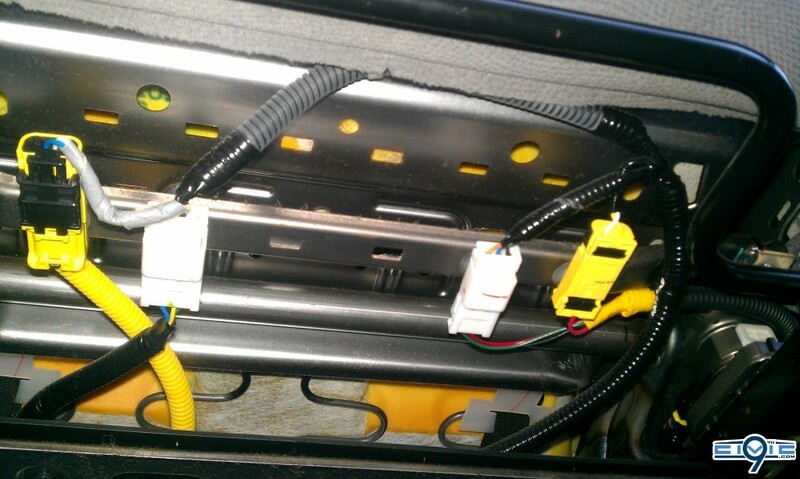 I discovered that the electrical harness for the MT and AT cars are identical and so the connector is taped down under my console for the illumination of the gear indicators. 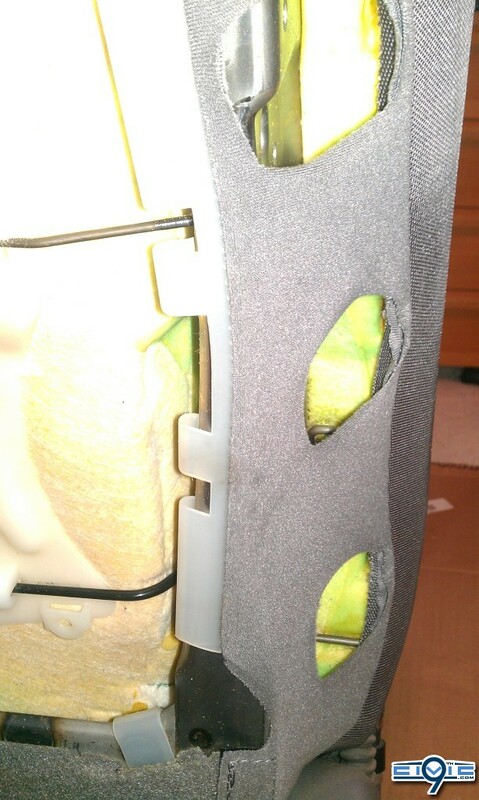 I tapped that for the illumination of the switches with the rest of the interior lights. 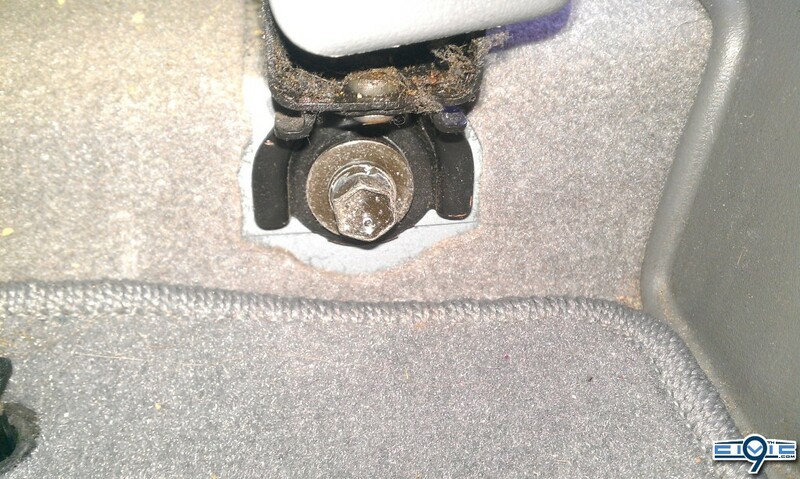 The ground for the heater elements was attached to a bolt under the center console. 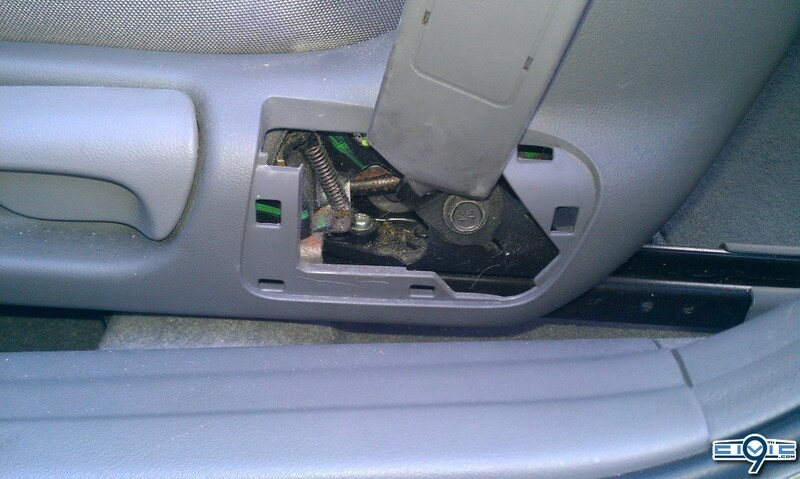 the positive wires were run over to the fuse panel under the dash and two ATM add a fuse taps were used to tap into ignition switched fuses. makes me wana do it in my FA great wright up thanks. Awesome DIY, Ethan! Very nice! Holy moly that's alot of work. Very nice. Do you have nice warm buns? I want toasty buns. 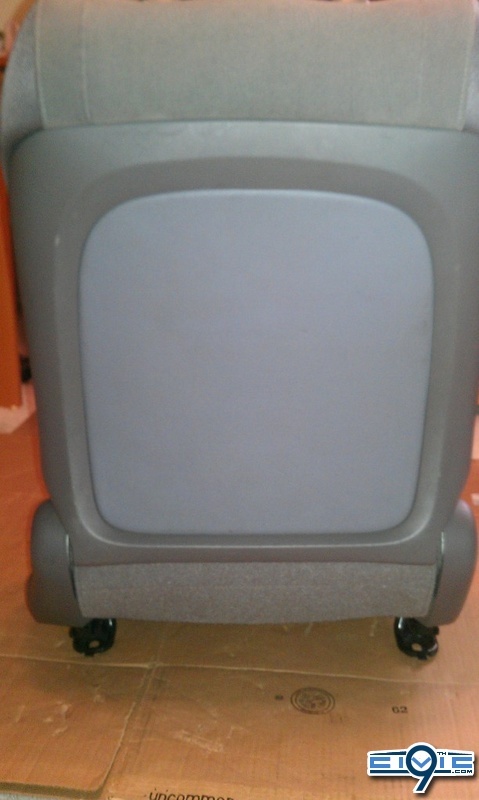 Our pilot has em and I love takin it to work in the morning just to be toasty. Proudest day of my build so far. Fabulous DIY! Your step-by-step will give anyone the courage to take on this rewarding modification. very rewarding project but a whole lot of work involved. 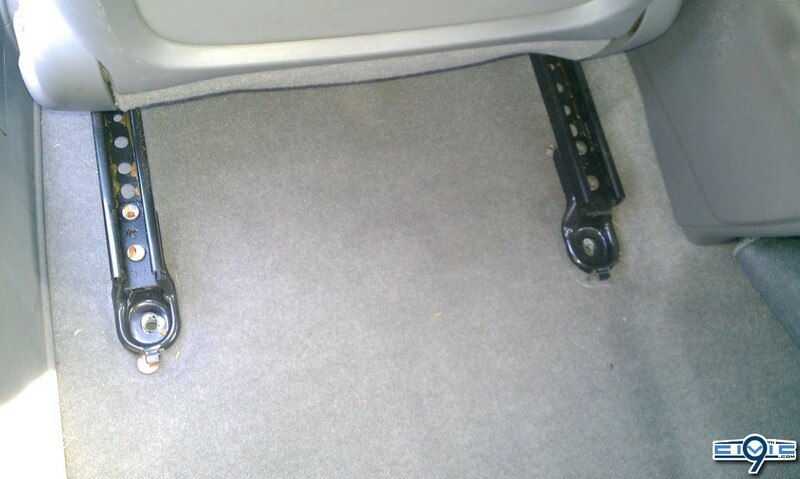 Been driving with them daily since the install was finished, they still perform flawlessly and you still cant tell i pulled the seats apart.